On a windy but warm morning, I headed to Morningside to visit Rocket. I’d heard good things, so was looking forward to a breakfast treat. 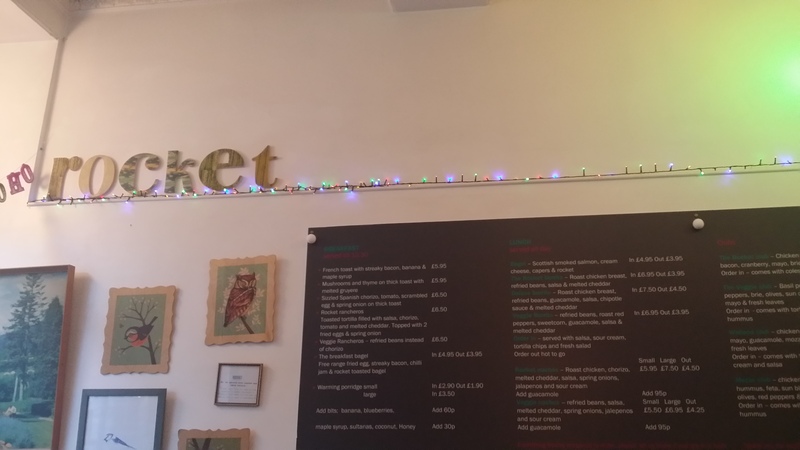 The place has seating for around 25 in its compact premises. Although a different shape, it reminded me of The Parlour Cafe in Dundee. Elegant cornicing, nice tiling and clean wood give it a classic contemporary feel. I really liked it. 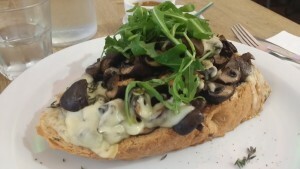 I was immediately hooked in by talk mushrooms on toast so ordered that accompanied by an espresso. The coffee promptly arrived and was a very nicely made cup of Artisan Roast goodness. The food soon followed, looking and smelling highly appealing. A mountain of mushrooms were heaped upon a thick slab of good toast, then topped with rocket and deliciously fragrant thyme. Melted gruyere brought things together for impressively tasty mouthfuls. 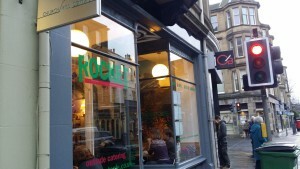 It was absolutely first rate and one of the best breakfasts I’ve had in the city. 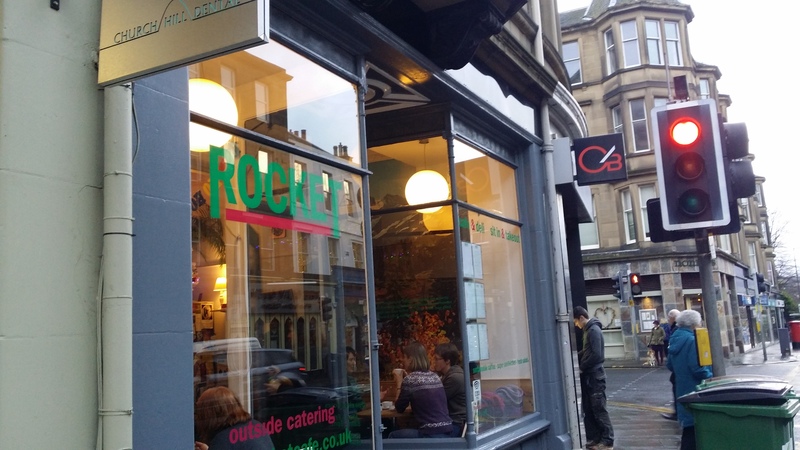 So overall, I was extremely pleased with Rocket. 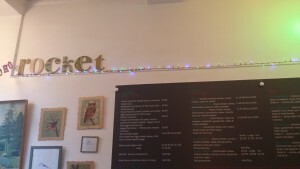 Friendly and welcoming service was matched with smart surroundings, great coffee and super food. I look forward to visiting again, soon, and would highly recommend it to you.